We have already seen a teardown of the Samsung Galaxy S6 and the Galaxy S6 edge before from iFixit. 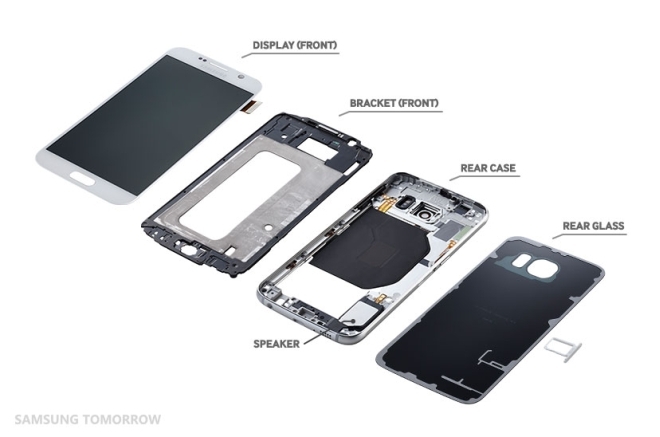 But now Samsung has released its own teardown of the two phones, for some reason. Samsung’s teardown doesn’t show anything new that we haven’t already seen or learned from iFixit’s and is decidedly less detailed. We do get some high quality images of the insides of the phone, however. You can check out the teardown in the link below but indeed it is just a brief recap of the phone’s spec sheet.